Graduating seniors will take senior panoramic pictures at 1:30 p.m. on Friday, May 25th at the Dragon Stadium. 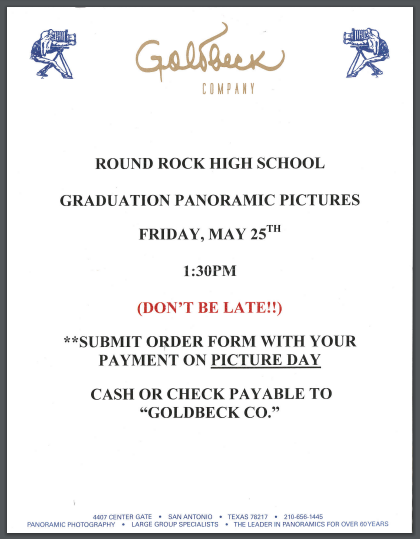 Students must be in their cap and gown in order to participate in this panoramic picture, and students are allowed to wear any cords and/or academy stoles they have earned. Immediately after panoramic pictures, graduating seniors will report to the 100 building for graduation rehearsal. This is an important event for your senior to attend — we will practice the graduation ceremony and also discuss important information. This rehearsal is allotted 90 minutes.